It's been almost a week since I've been back in the States. I don't know if I can say that I'm feeling full-on reverse culture shock just yet (though I have been taking a whole lot of naps), but I can say that I've been trying my best to remember what I learned in France. That is, I've been attempting to incorporate some of my French habits into my American life. I walked 30 minutes to my local library. I went to the farmer's market with my mother. Right now it's all a bunch of little shifts in mindset, and I wonder if that will be more apparent when I see more of my friends in a couple of weeks. I wonder if they'll get it. I've been getting pangs of nostalgia for Aix. I've had a couple of dreams where I was back there, back with all of my wonderful-beautiful-amazing friends who understood. I am so incredibly grateful to have met the people I met at IAU, and it does actually sting when I think about how much farther everyone is from each other now. I'm lucky enough, however, to have also shared a lot of memories with people from my school, and I'm excited to see them once they come back from their extended European stays. There are many things I miss about my time in Aix already. I miss the daily markets. I miss being surrounded by old stones with stories to tell. I miss the bread. I miss my bed. I miss my host family. 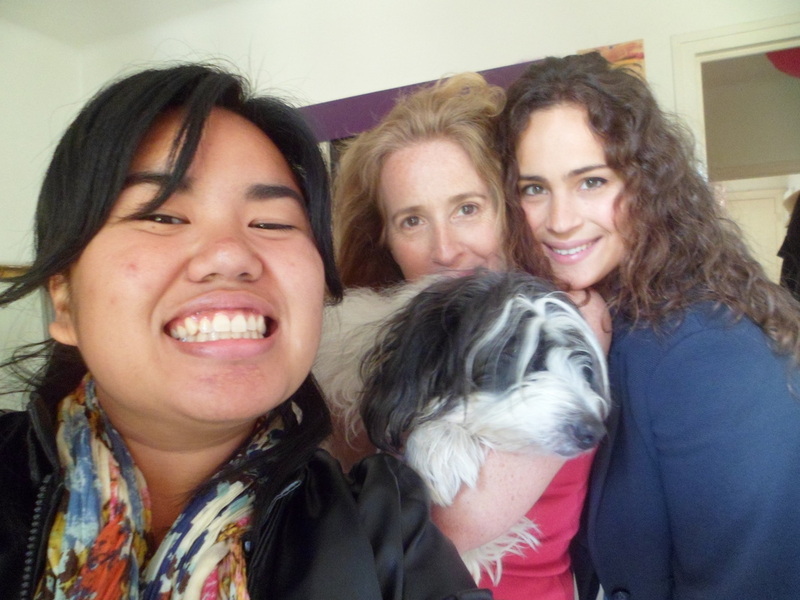 Me, my host mom, my host sister, and my host dog. Not pictured: my host cat. But while it's all good and fine to miss certain things, I feel that it is extremely important to remember. And there is so much to remember. I will remember the uncertainty and excitement I felt during my first night in Aix. I will remember my initial confusion over how to take a shower. I will remember almost getting lost after too many pints at Manoir. I will remember that time we had a band. I will remember "Get Lucky" at Kiwa Sushi on my 21st birthday. I will remember the poil all over my leggings. I will remember the constant kindness of my host sister. I will remember how I felt when my host mom said, "Tu vas aller loin dans la vie." I will remember because that is what this experience deserves. I will try my best to come back, but I know that what I had here, during that moment in time, will always be its own. Now I guess it's time for a new adventure. Thank you, Aix. Thank you for teaching me so much about France, about the language, about people, and about myself. I won't forget you. Promise. I have one week to go before I board a flight that will take me back to California. I mean, okay, it's a flight that will take me to London and then take me to California, but still. Bref, I'm leaving. And it's so bizarre. It's not that I didn't know the end was coming - I've been blogging about saying goodbye for a while now - but it's that I didn't think it would feel quite like this. I had dinner with a good friend of mine last night and we basically reflected on our entire experience here in Aix. We realized that there were moments where it was great (which is what everyone sees in your Facebook photos) and there were moments where it could have been better (which is what only a few people get to know), but all in all, our time abroad helped us grow so much as people, and I hope that comes across when I return home. 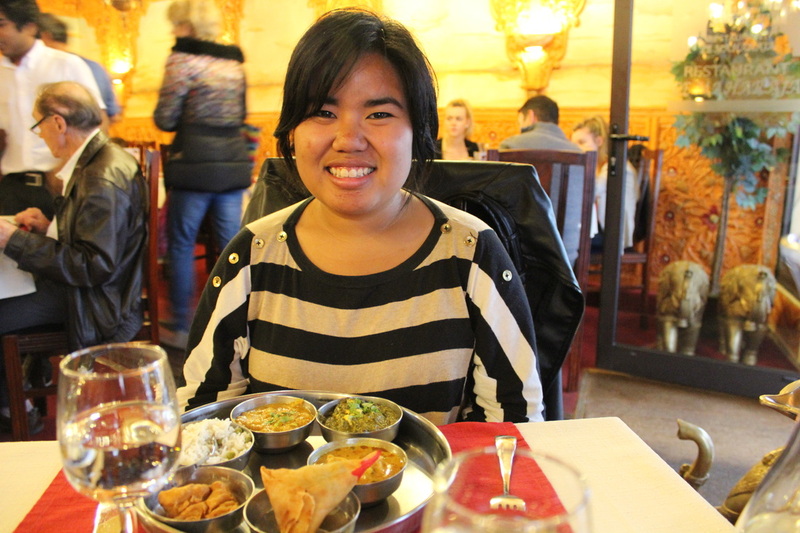 At Le Maharaja. Yeah food! It's weird to think about how most of us refer to it as going back to "real life." Does that mean that this experience wasn't real? I'm hoping it was real. I'm hoping that what I learned here will not fade into some deep recess of my mind but rather weave itself into every part of my being. Maybe calling this experience "unreal" works to further emphasize how great of an experience so many of us had, but I think it also works to overlook the lows that have shaped us as well. I think our time in Aix deserves so much more than a glossy postcard or an excited retelling of your favorite Friday night. Study abroad was not a holiday, despite what our photos said or what stores decided to keep the metal gate closed. For me, Aix gave me the opportunity to learn not just about the language or the culture, but about myself. And that's what was most valuable. I know that almost every study abroad program says this, but it's true: I learned so much about who I am and what's important to me. I'm not sure if I've undergone a transformation since being here, but I can tell that certain things have started to stick with me. For example, the other day I was speaking to my friends about going to a photography showcase, and I said, "They should at least have cheese." It was verging on the edge of snobbery, but I think that statement showed that I've gained a huge appreciation for some of the finer things in life. Like cheese, I guess. I've realized it's not necessarily a bad thing to like nice things. It is possible to be against social inequality and still enjoy a good bottle of wine every once in a while. Or at least I think so, anyway. I've learned to cherish more things. My food, my time with other people, and the fact that this little community will probably be one of the few people who will really get what this moment of my life was like. It's going to be difficult leaving this place, but I'm excited to share what I've experienced. I'm writing this blog post from a hostel on the Rive Gauche. Tomorrow I will be back in Aix, trying my best to finish up these last few weeks filled with presentations and papers. I'd be lying if I told you I'm not freaking out about it... there's a reason why I wrote all my deadlines on post-its I stuck onto my bedroom wall. I have this constant need to keep thinking about the future, and at first it sort of got in the way of my full enjoyment of Paris - I even did some reading during my second night here. And like, okay, I'm probably going to do some reading again tonight, but still. Vacances. My mind kept going back to that poster at the Marseille-Provence airport, which said something along the lines of "Oubliez la crise, faites la valise!" So eventually, I started to let go... though I think I got a little too lax about it. I was so lax that I uh, ended up overdrawing on my checking account. And my credit isn't doing so hot after finally purchasing my return flight home so yes, I was definitely in a bit of a pickle. But surprisingly enough, even with all of the stress from school and finances, I can safely say I had a wonderful time in Paris. However, like a lot of big cities I've visited (which admittedly isn't very many), I can only take it in small doses. I feel like I've written this entry in my head many times before. With a little over a month to go, I figured I should get started on this whole "saying goodbye to Aix" thing. I think my peers have already started the process - I've heard a couple of people sprinkle "that's what I'm going to miss most about France" at the beginning or end of their sentences. I understand the idea of not wanting to talk about the end, but it's so easy to get swept up in the rendez-vous and the traveling and the projects that the end will end up hitting you like a semi if you don't take care to look before crossing, you know? So this is me looking both ways - side to side, behind and beyond - and trying my best not to get run over. Can someone explain to me how we've already reached the end of March? It is mind-boggling. We've had midterms, we've had our fair share of excursions, and all of it is a not-so-subtle indicator that our semester here is almost over. And rather than get that traumatizing, suffocating feeling that I normally get, I'm just going to recount some of the highlights from March. How do you begin to sum up weeks of new experiences? Weeks filled with new words, new foods, new sights, and yes, new mistakes? It's tough, but I know I have to write it all down before the new-ness wears off. Language practice has been good. In addition to having a host family, I feel that having an internship really adds to the experience. My internship is with a local theatre company, and so far it's been going really well - I love being around the stage (whether it's singing or acting), so I'm glad to be around people who love it too. However, I still don't feel completely solid in my French (not that I was expecting myself to suddenly become fluent once my soles hit French soil), so I should be speaking with a couple of language partners in the coming weeks. As far as traveling goes, I haven't been to that many places outside of the surrounding southern cities and the very beautiful (and expensive!) London, England. I know I started off by saying I would want to go see the women saints, but I'm realizing that for me, it's a bit of a difficult undertaking if you don't have a (few?) willing friend(s) to go with you. Now I'm pretty much taking things as they come, but I'm making sure that I at least have somewhat of an interest in the destination before I agree to go there. For spring break I will be in Paris, so I am definitely excited about that. I think I may do a side trip to Lille as well, so... keep your fingers crossed that everything falls into place. Academically, we're at a bit of a difficult point. That's right - midterms. It's stressful and full of papers, but perhaps most importantly (and obviously), it marks the midway point of the semester. Oh la fuite du temps. It's time to kick it into overdrive. I believe that you never really know something until you lose yourself in it. Because of this belief, I feel I've done a decent job of getting to know Aix-en-Provence so far. I think it's possible to get lost in more than just a place - you can get lost in a language, in a dance, in your daily routine, in an entire culture. And through all of the confusion and mix-ups and misunderstandings, you eventually find yourself oriented. Coming up on my fourth week, I can't say I feel completely oriented, but I'm slowly figuring out what works and what doesn't, in addition to a bunch of smaller things that can be added to the ongoing manual with the (tentative) title How to Look Aixois. However, because I hardly think I'm qualified to publish a manual after only a few weeks here, I have no such guide for you. Instead, below are some of the things I've learned after nearly a month in Aix - many of which are the result of feeling pretty lost. 1. Food is worth the €. Do not skimp on food evereverever because you are in France and you must vivre pour manger, d'accord? 2. Dog poop is a part of life. 3. If you cross the street like you mean it, nobody will honk at you. Actually, people rarely honk at pedestrians, so feel free to cross the street when it feels right, even if you don't see the man in green cheering you on in safety. But (!) if you have doubts... don't do it. 4. It's "glug" not "chug." 5. If you pet your host family's cat too many times, she will see you an endless petting machine and will never leave you alone. 6. Being corrected regularly is very good for improving your French. Other good activities for improving French: eavesdropping on conversations and actually speaking French with your peers. 7. Do not leave your homework for the last minute because while doing so is horrible in the States, it is hyper-horrible en France. 8. It takes two weeks to be able to walk down a sidewalk like you own it. 9. Nothing says you blend in (and that you look really non-threatening) like being asked for directions. I should know, I've been asked four times already. 10. 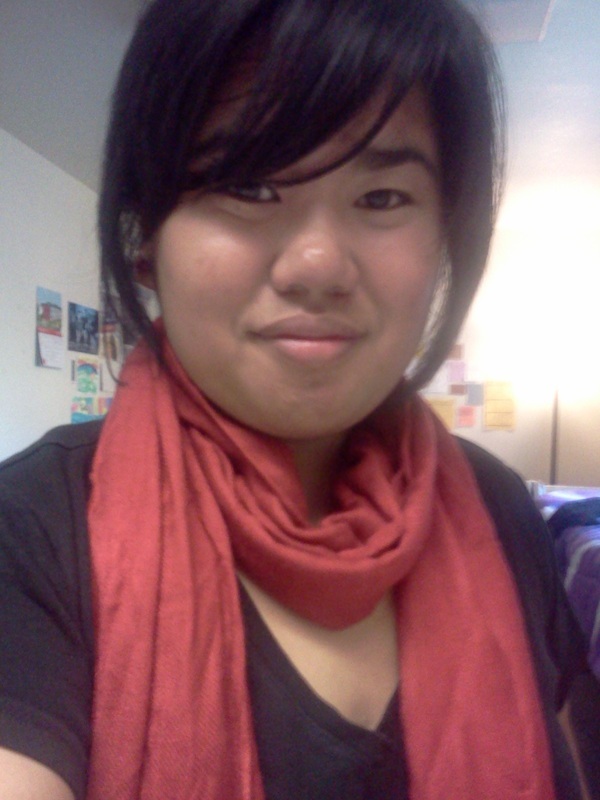 That being said, if you look vaguely Asian, there's a good chance someone will ask if you're chinois(e). 11. Do things with a sense of purpose, but be open to having your plans change. 12. Write everything down because if you don't, weeks will fly by and you will forget it. Yesterday was Lunar New Year. While my family back home doesn't celebrate, I remember it was always a big deal during high school due to our sizable Vietnamese population. It was strange hearing silence instead of the usual popping of firecrackers. So in order to celebrate the best way I could, I decided I was going to try to find a Vietnamese place to eat lunch. The place I wanted to go to ended up being closed (which in retrospect makes sense because hello, holiday!) so I ended up going to the restaurant I went to the day before - a place that serves "world cuisine." While I was in the middle of deciding what to order, I thought back to orientation and how Alan Roberts (Director of the Marchutz School) presented us with the multitude of definitions that come with the word "abroad." I can't remember all of the synonyms he listed, but I recall something along the lines of (to take an overused phrase used in perhaps every study abroad pitch) expanding one's horizons. It's a weird thing to think about, as an Asian American woman still trying to find her own identity while trying to adapt to another. To break it down even further: Here I am, alone on Lunar New Year, in the south of France, at a world/traveler-themed restaurant that serves everything from gyoza to empanadas to nutella tiramisu. I'm recovering from a cold, wearing a blouse, a blazer, a leather jacket and a scarf, and I glance at the window to see snow beginning to fall. I'm considering going to H&M to buy another coat and a hat, but later decide against it because my motivation to make it home trumps the need to go shopping. As far as what I had for lunch, I ended up ordering a tapas sampler plate and a chocolat blanc. It was nice. But getting back to this weird existential crisis moment I was having during lunch... it's strange that I find myself wondering (perhaps uselessly) what it means to have a true French experience. Is that idea just composed of stereotypes that Americans have of the French? Am I changing? What have I picked up in these first few weeks? I suppose that last question can best be answered in list form, but I'll save that for another post. It's strange to think about how it hasn't truly been a week since I've been in Aix. Tomorrow I will be boarding a bus to go to Nice and Monaco for the weekend and I am pretty excited. But before that happens, I figured a blog entry had to be written about all of these new experiences I had during this first week of classes. In true Justher fashion, I will outline these experiences with subheadings. Because subheadings are cool. Anyway, as the Whovians (and the Francophones) say, "Allons-y!" Now that all of that gushy stuff is out of the way, I'd like to give a shout-out to some of the texts that helped me get a feel for what to expect as a study abroad student in France. Below are some books and websites that taught me a thing or two (though I suppose I won't know how the information holds up until I'm actually in France... I will be sure to keep you updated on that).